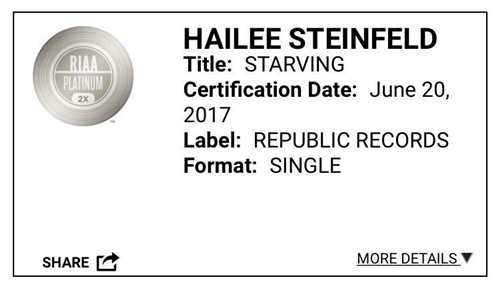 Hailee Steinfeld Celebrates ‘Starving’ Going Double Platinum in the U.S.
Hailee Steinfeld‘s single “Starving” has been playing on repeat in our heads pretty much since the day it was first released, and as it turns out, we’re definitely not alone. The 20-year-old singer tweeted this afternoon that the song has made platinum not once but TWICE in the United States, which means she has sold over two million copies. Whoa. With a new song as empowering and catchy as “Most Girls,” (listen here), we wouldn’t be surprised to see more record-shattering tweets in her future. 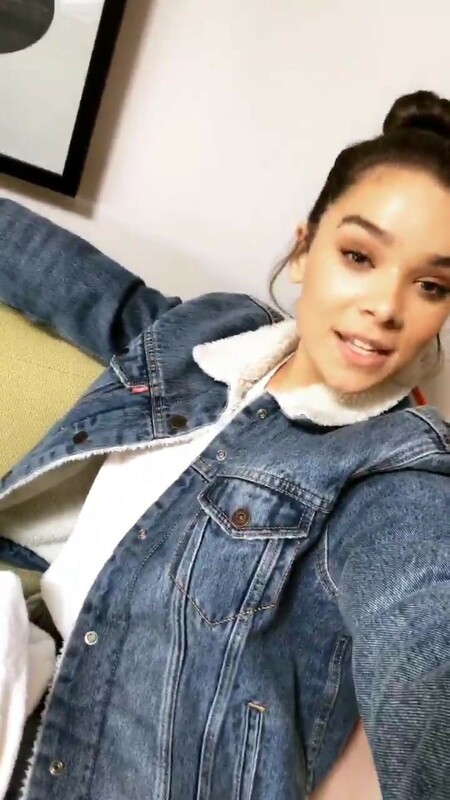 We’re so proud of you, Haiz! Next step? Diamond.